The subject line of an email is the first thing to gain the attention of the recipients. It often becomes the deciding factor for an opening of the emails. An email should always have a good and convincing subject line. Emails lacking subject line is either ignored or delete. Many times subject lines are not given much importance. It is drafted after the body of the email is ready to be sent. This is one of the biggest mistakes that one can do. We all know that the first impression is the last impression. And the first and foremost thing that your recipients get to read in your mail is its subject line. It has to be given importance and should be the first line to be drafted. A personalized subject line is always more catchy. It gives a feeling of personal attention to the recipients. When sending emails from a company, one has to send the same emails to multiple recipients. A personalized subject line for each recipient should be drafted, giving an impression that the mail is drafted for each recipient individually. It is advised to use the name of the recipient, either first or last name, in the subject line. Adding the city name of the recipient is also a good practice. Short subject lines can be read by the subscribers at a glance. Moreover, mobile phone have become the primary email reading device. Short subject lines are easier to be read on the mobile. Draft a subject line of maximum 50 characters. Let it be short. The subject line should be able to give some idea to the recipients about the content of the email. This will help the subscribers choose wisely, and decide if the mail is catering to their requirements. Guesswork done by recipients causes irritation to them and they tend to ignore your emails over time. People get bored seeing the same subject line each time. So, make it a practice to use the new subject line each time a new mail is sent. Newsletters are the best example to explain this. 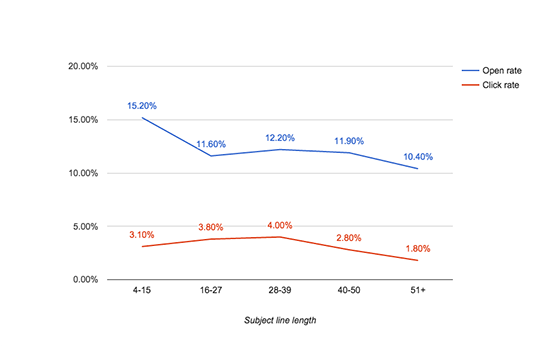 Its opening rate is high when the first few emails are sent but tends to decrease with the passage of time. The reason most is that the same subject line is used perpetually. Make the fresh subject line every time, and include some pointers to what the newsletter contains. The subject line should be capable enough to induce curiosity in the recipients. It should be interesting to trigger them to know more about the mail. Though it should give some idea of the mail content, the whole content of the mail should not be disclosed. It should make the receipts curious to check out the whole content of the email. Every one of us has to go through lots of emails everyday. We hardly give a second or two to decide if the mail is worth opening. Let important words stating the matter of email be included in the subject line. 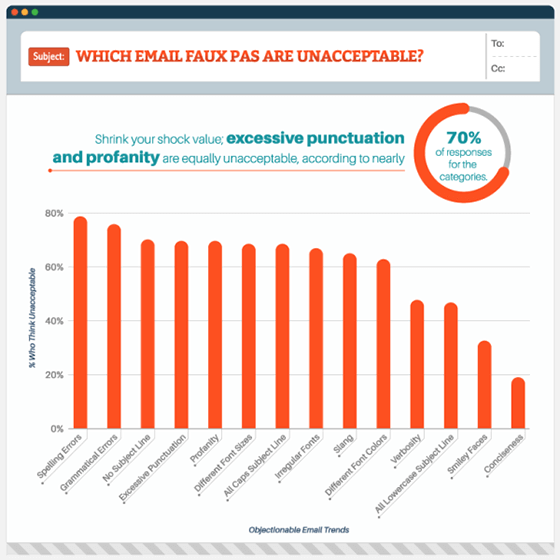 Avoid using words like um, uh, er, ah, like, okay, right in the subject line. These can be included in the emails. As the subject lines have to be short, each and every word is precious. Also, filter word can make your email end up in the spam box. Pro tips on how to get your emails right in the recipient’s inbox and avoid spam. Simple subject lines are always admired. It is easy for the recipients to understand and read. Making it in poetic will not be to your advantage. Many times the recipients do not check the mails the moment they receive it. They have a practice of putting the mails to folders and they go through it later. Logical keywords related to the topic of the emails help to make the searching process of the emails easier, when it is required. With impressive subject lines, send exceptional HTML emails using SalesHandy for FREE! Stating the name of the person or company who has referred you in the subject line is always a good practice. It helps in grabbing recipient’s attention. Many times it is reserved for the content of the email. However, one should also include it in the subject line. Advantages to the recipients stated in the subject line act as a trigger to induce them to go through your mail. If some discount or opportunity has been provided in the mail, it is always advised to mention it in the subject line. For any offer or discount, the percentage of discount can be mentioned on the subject. It is always better to specify in the subject line if any response is awaited. Phrases and words like “please reply”, “your suggestions are most valued on [this topic]”, etc. can be added to subject line. Know when someone opens your email for FREE! The deadline can be stated saying, “Please reply by [day/date]”. This will convey the urgency of reply needed from the recipient’s side. For long emails this works well, a recipient will have to go through the email before the set deadline.This practice is followed by the government agencies. “Please submit your tax details before 1st June to avoid penalties”. Asking question in the subject line with answers appearing somewhere in the mail is not appreciated. This is forcing your recipients to open your mail and obviously, your mails should be not aimed to do this. Rather going through your mails should be a wanted experience by your recipients. Though capital letters grab attention easily and rapidly, but it is advised not to use all capitals. In written communication, it is considered to be yelling at your recipients and obviously, that is not your motto. Tip – It is advised to read the subject line before you send your email. Remember!! It is the first thing the recipient reads and thus should be impressive and informative. This article will help you draft the perfect subject line, however, the first step of the prospecting is to find the prospects email address. Here are 7 effective ways to find a prospects email address. Do let me know which of the points are more appreciated by you. Awaiting your views and comments. Track Every Email You Send for FREE!